What if the geometric structure of the universe has been hidden, for centuries, in crochet? What if you could you stitch your way to a deeper understanding of the fundamental nature of spacetime? 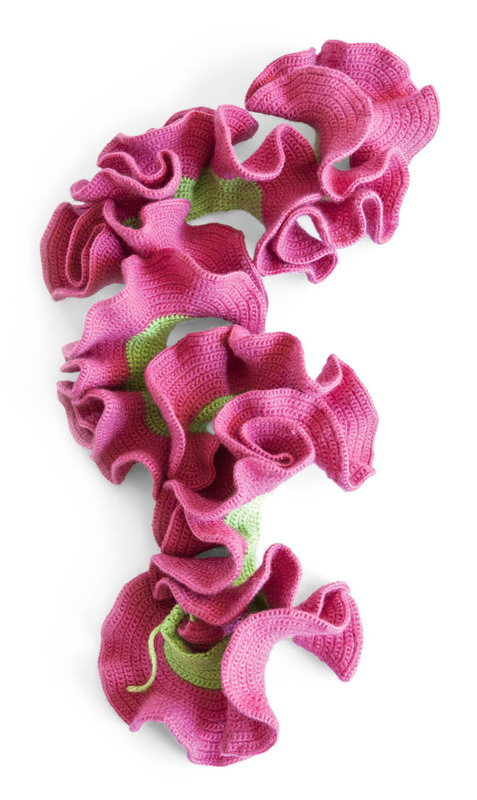 Margaret Wertheim — a modern Renaissance woman melding handicraft, physics, math and art in her work as a curator and science writer — can help you get there with a ball of wool, a crochet hook, and some non-Euclidean geometry. Wertheim learned needlecraft before math. She doesn’t remember a time when she couldn’t knit and sew. “It’s just what women did,” she says, “from the age of twelve I was literally making my own clothes.” But at school she gravitated toward math and science. She earned dual degrees in physics and in mathematics and computing, and she wrote a couple of popular books about physics. Then she discovered the work of Cornell mathematician Daina Taimina. And everything changed. In 1997, Daina Taimina proved that hyperbolic geometry, discovered in the 19th century, is not just a mind-bendingly counterintuitive idea confined to equations on a page. Taimina, who also grew up knitting and crocheting, figured out how to make an actual hyperbolic structure — using crochet. It looked like a ruffle. 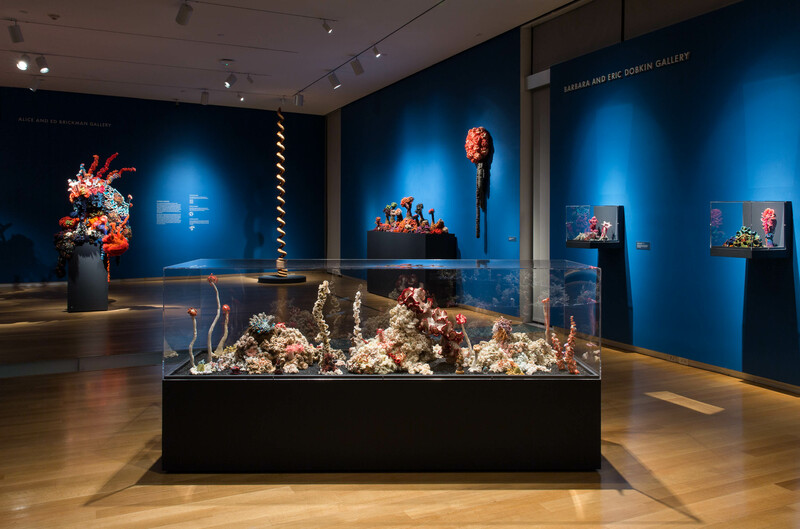 Wertheim’s first project using hyperbolic crochet became a global sensation: the Crochet Coral Reef. 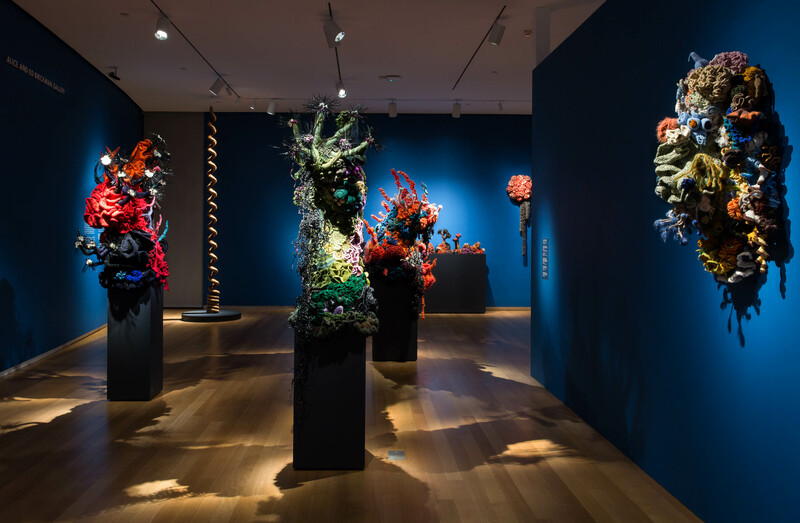 But as a tool for visualizing the unseen, crochet can go way beyond what lies beneath the ocean. For instance, what if the universe itself hyperbolic? Could this traditionally feminine handicraft offer a tactile way to comprehend something as abstract as the geometry of spacetime? For me, the real revelation came in picking up a crochet hook and following Wertheim’s instructions myself. As I increased stitches in spiraling rounds, ruffles curled and expanded into my hand. My baby blue pseudosphere felt, intuitively, alive. But how can Wertheim be so sure that the universe looks like a cosmic version of the ruffle I have in my bag? "We know space itself has a very dynamic, rippling, curving quality, the question becomes: at the bigger level of the whole universe, does that have an overall structure or geometry?" Wertheim says. "That's the big question physicists are trying to answer today with deep space telescopes like the Hubble. While most of the large-scale evidence points to a Euclidean structure, there is some tantalising evidence that we might just live in a hyperbolic world." The key to making sense of this is considering that most of these sorts of crafts — crochet, knitting, even cross stitch — are essentially algorithmic processes. "Feminist scholars of science have been pointing out for a long time that there's a very direct lineage from handicrafts into computing, and yet we still have this deeply ingrained myth in our society that somehow handicrafts and women's activities don't have much to do with computation." As you stitch, you follow a formula of counting and skipping stitches, iterated over and over, until your target pattern or shape emerges. Punch cards, the kind that drove early computers? Derived from the systems that drove 19th century looms. And just as a mathematician uses math to describe complex patterns, forms, and shapes in precise numerical form, handicrafters are describing complex patterns and forms with yarn. "I think it's absolutely the case that handicrafts is a form of embodied mathematics." When you think about how fundamental math is to describing the underpinnings of the universe, framing crochet in this light is kind of awe-inspiring. "Since the ancient Greeks, God was seen as some sort of artisan. And then in the 17th century with the scientific revolution, he got conceived as a mathematical Creator," says Wertheim. "This is where we get the idea that people like Stephen Hawking are looking for equations in the mind of God. That God has created the universe according to mathematical laws. But I think we could also say God is the great handicrafter." It all certainly imbues the needle and yarn with cosmic importance. Anne Strainchamps: God is knitting the world? 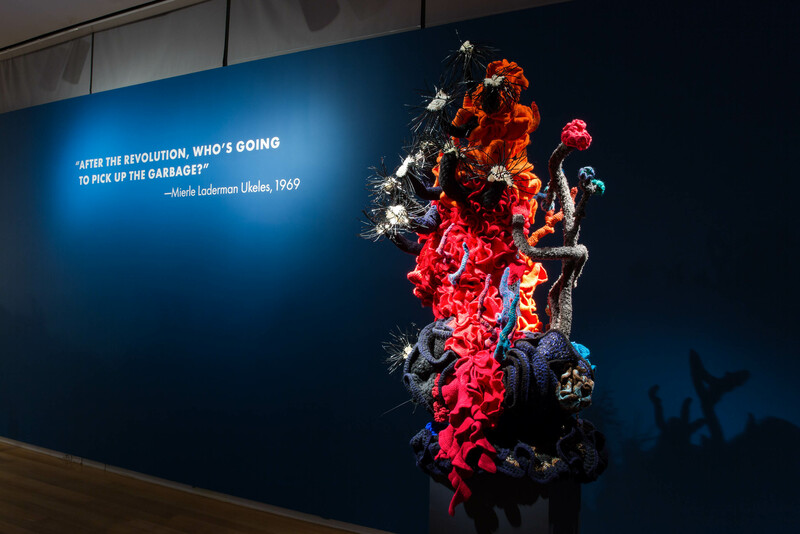 Margaret Wertheim: Or you could say, She crocheted a universe. As we tread further into the unobservable universe, Wertheim sees the metaphorical connection between weaving and physics as incredibly useful. It's something that physics left behind during the Scientific Revolution, when the focus was on subordinating the universe to mankind's control—hoping to fix it within mathematical laws. But biology has continued to embrace such metaphors over the centuries due to the dynamic nature of what biologists study. 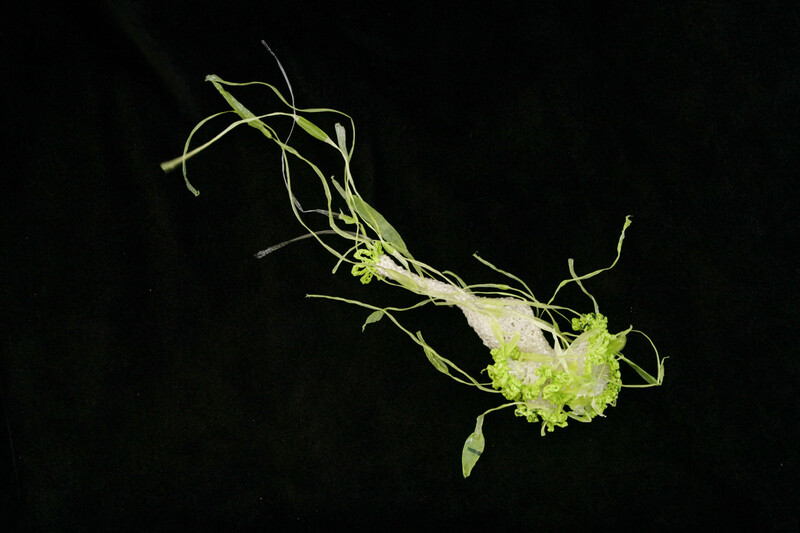 "DNA comes in strands and coils, they talk about the web of life, and networks of ecology," says Wertheim. Modern physicists are finding that the universe has more in common with messy cellular biology than chalkboard formulas. "Space itself is dynamic...the universe itself is a living web. And we now know that on a large scale, galaxies are arranged into this almost biological network where there are clumps connected by long threads," says Wertheim. If the structure of the universe is constantly shifting and rippling across dimensions beyond our natural comprehension, it stands to reason that a dynamic hyperbolic geometry could offer a workable alternative way of describing what the universe might look like. "It makes sense we should think about it with different metaphors than we have in the past." 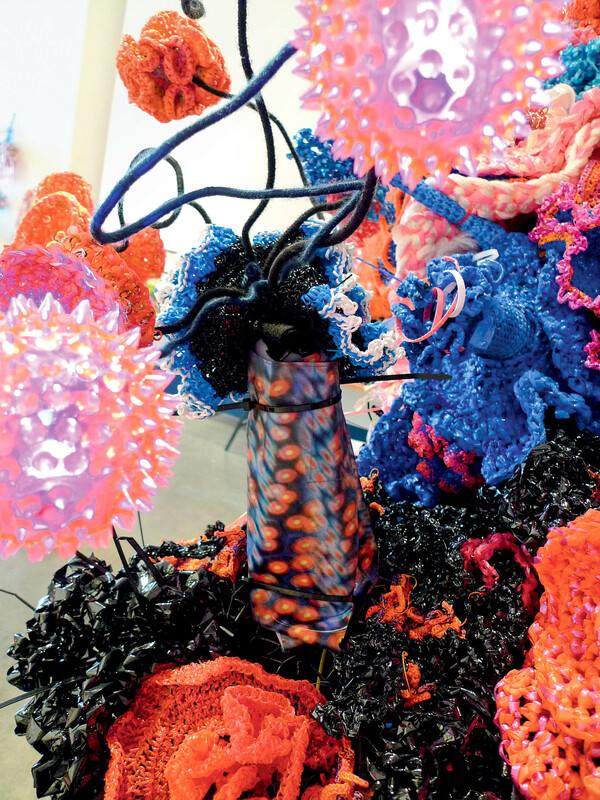 For Wertheim, the fact that crochet can connect us physically to such high-level astrophysics serves an important purpose in keeping astrophysicists tethered to what is describable and experienceable in real life. "All of us who love math have had experiences where you just go "whoa!" and it does seem like a spiritual experience. But I think while we can be spiritually moved by math, it's a false premise to propose that it exists independently of the material world." We might not be able to feel the material contours of spacetime, but with Daina Taimina's help, we can at least approximate it as we feel the brushing of three in one stitches running over and over around the edge of a ruffled blue pseudosphere. Our listeners have followed her guides and even starting crocheting pseudospheres of their own. 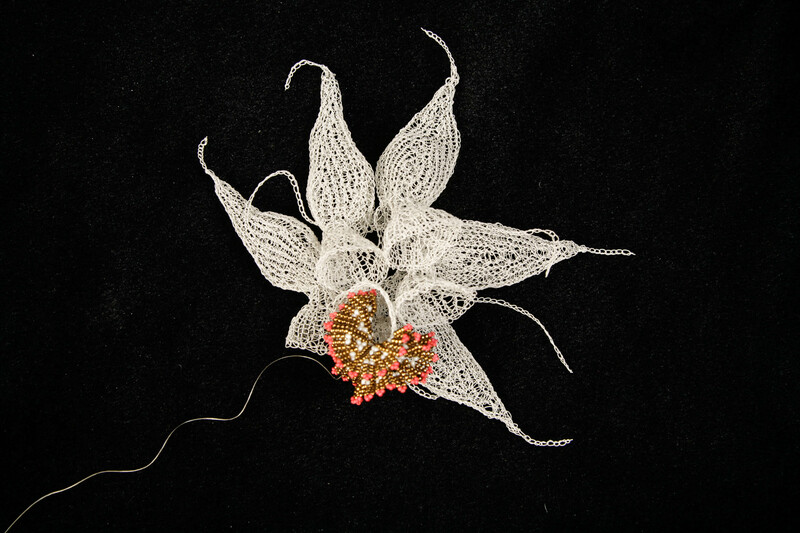 Knitted wire sea creature (by Anita Bruce) with beaded coral (by Rebecca Peapples) from the "Crochet Coral Reef" project by Christine and Margaret Wertheim and the Institute For Figuring. " 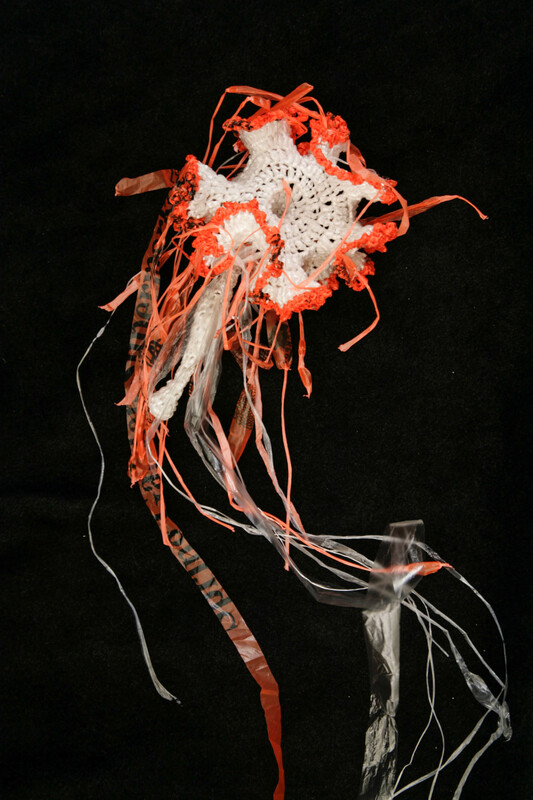 Crocheted plastic jellyfish from the "Crochet Coral Reef" project by Margaret and Christine Wertheim and the Institute For Figuring. Crochet plastic jellyfish from the "Crochet Coral Reef" project by Christine and Margaret Wertheim and the Institute For Figuring. Plastic crochet corals from the "Crochet Coral Reef" project by Christine and Margaret Wertheim and the Institute For Figuring. 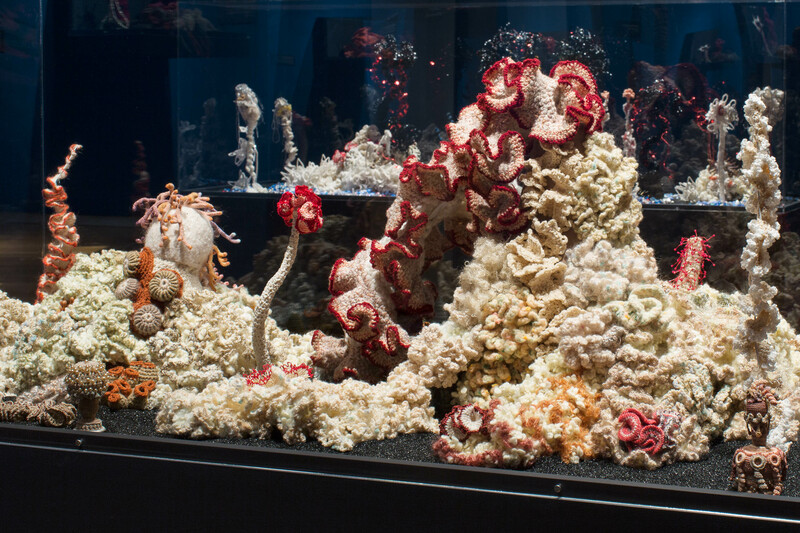 "Crochet Coral Reef" project by Christine and Margaret Wertheim and the Institute For Figuring. At Museum of Arts and Design, NY 2017. 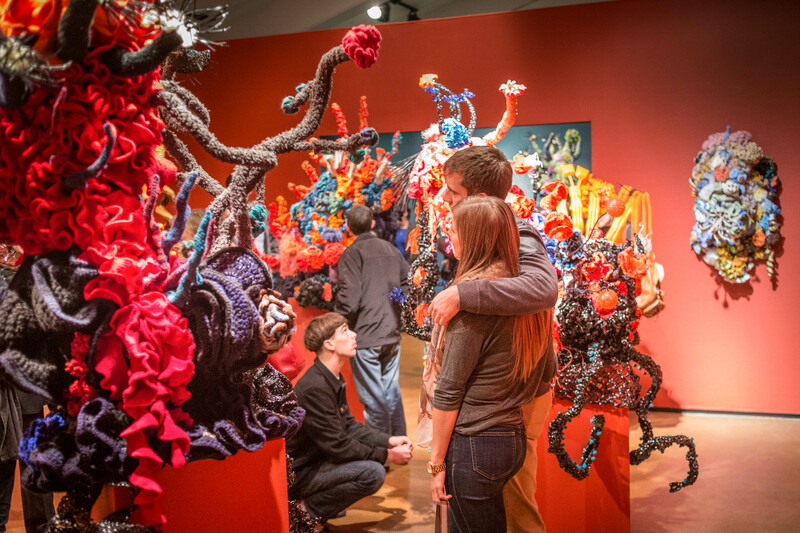 "Coral Forest" from the "Crochet Coral Reef" project by Christine and Margaret Wertheim and the Institute For Figuring. At Museum of Arts and Design, NY 2017. Crochet hyperbolic plane (by Anitra Menning), from the "Crochet Coral Reef" project by Christine and Margaret Wertheim and the Institute For Figuring. 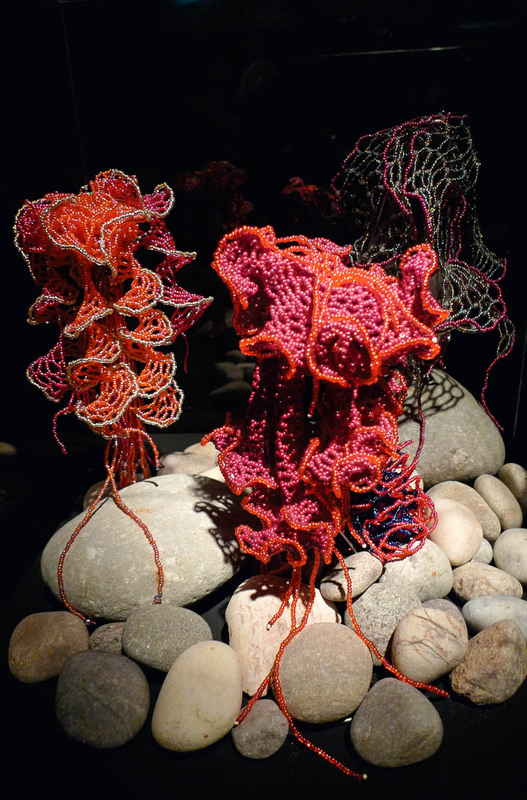 "Coral Forest - Medusa" from the "Crochet Coral Reef" project by Christine and Margaret Wertheim and the Institute For Figuring. At New York University Abu Dhabi, 2014. Beaded hyperbolic jellyfish (by Vonda N. McIntyre) from the "Crochet Coral Reef" project by Christine and Margaret Wertheim and the Institute For Figuring. 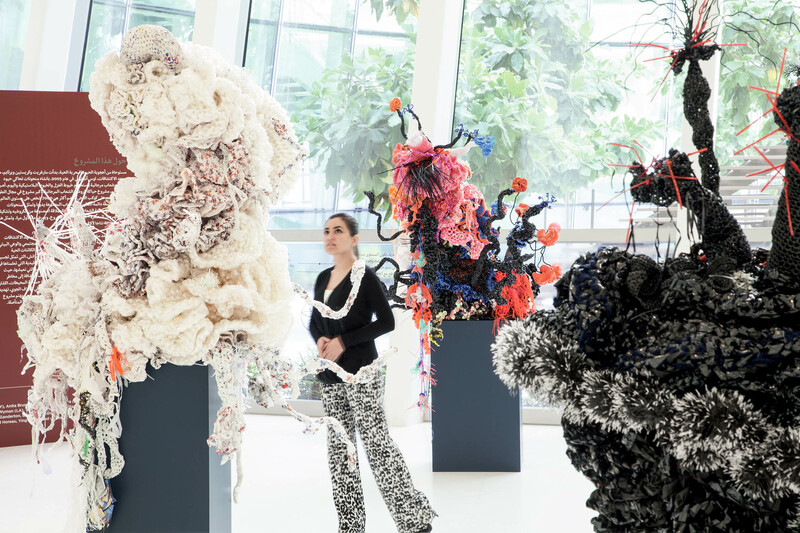 "Coral Forest" sculptures made from plastic trash bags and videotape, from the "Crochet Coral Reef" project by Christine and Margaret Wertheim and the Institute For Figuring. 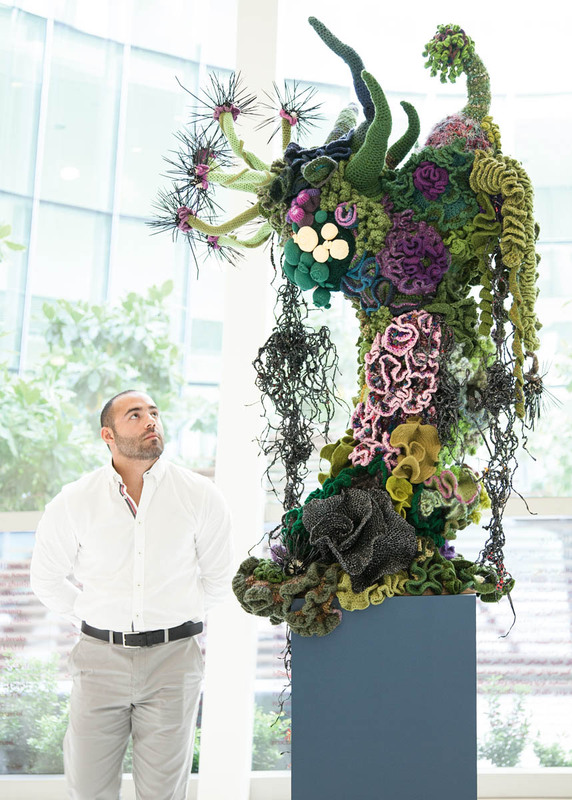 At New York University Abu Dhabi, 2014.